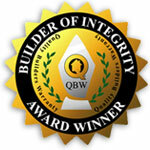 Oliver Homes' dedication to quality customer service has helped many homeowners during their new home warranty period. Our in-house service department will guide you through any care and maintenance questions as well as any service issues that may arise. You may call our office at 301-797-0000 from 8:00am until 5:00pm, Monday through Friday. Oliver Homes has constructed your home with quality materials and experienced craftsmen. Building materials must meet our specifications for quality and durability. All work has been done under our supervision to attain the best possible results for your investment. Although quality materials and workmanship have been used in your home, this does not mean that it will require no care or maintenance. You may request non-emergency service using our online service request form. For your convenience, original warranty documents are available here in Adobe Acrobat PDF format. Simply select a document from the menu below and click "View / Download." Note: Because manufacturers occasionally revise the language in their warranties, the documents offered here may differ slightly from those which originally came with your home. Please contact us if you have any questions. All warranty documents are in Adobe Acrobat PDF format. To view them you will need to have Adobe Acrobat Reader software installed. If you do not already have this software installed, you can download it directly from Adobe.